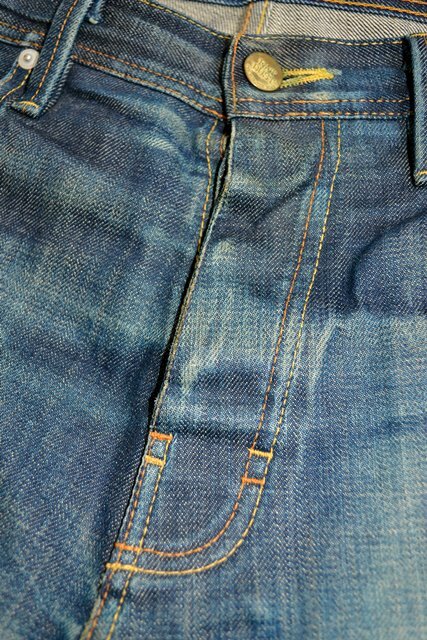 Today I want to highlight one of my own Worn-Out Projects. 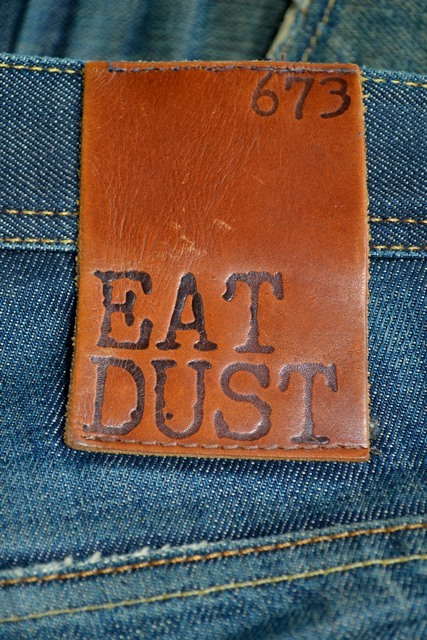 It’s my heavy worn Eat Dust jeans. 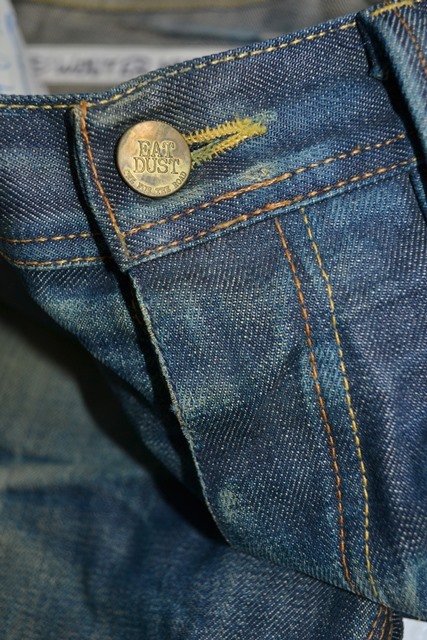 Have worn this Eat Dust jeans for 2 years, everyday. 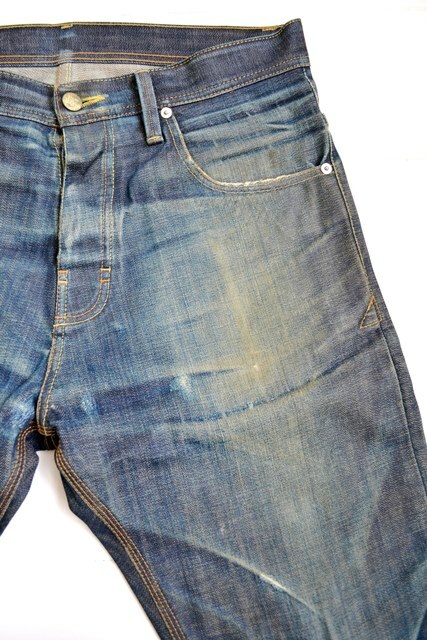 I really like the ageing of the fabric and I didn’t washed it. 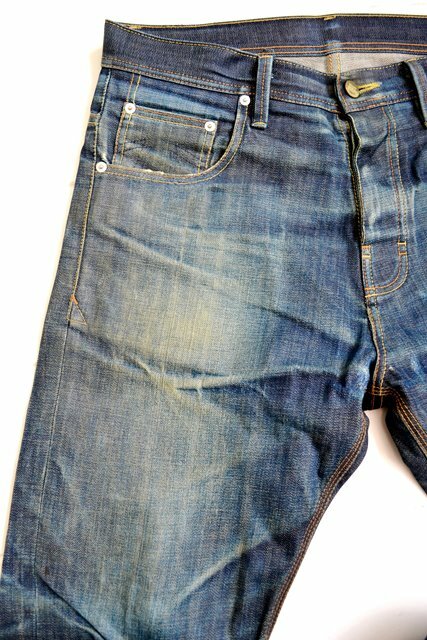 For the fabric it’s better to wash your jeans every now and then (because the fibers gets stronger), but personally it’s not really my thing. 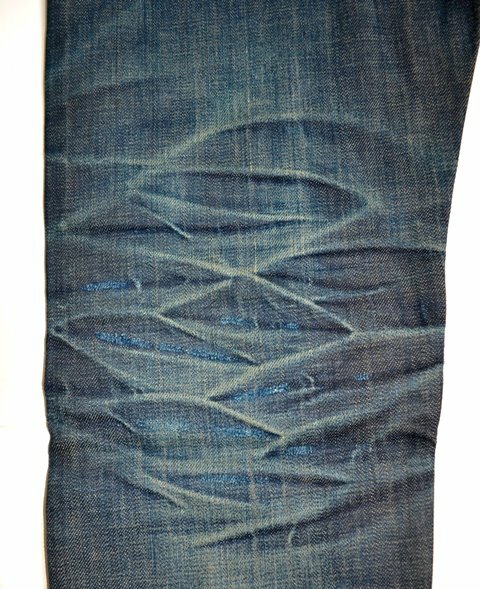 The dark colour of the fabric is just great and it’s gets better and better everyday by wear. 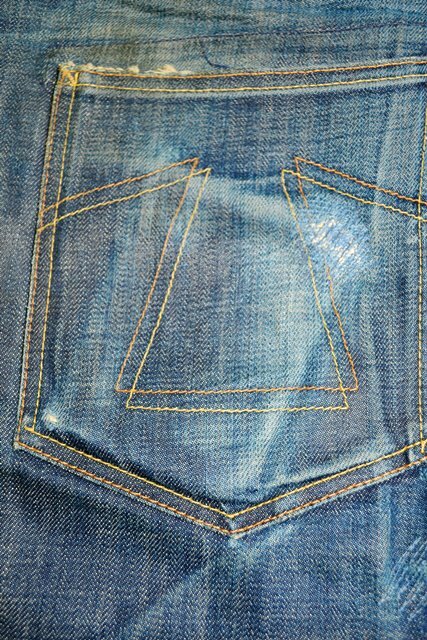 The pattern on the jeans shows my daily use and how I wear the jeans. 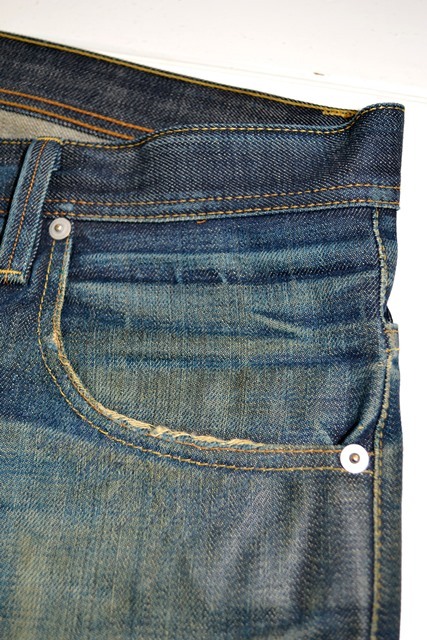 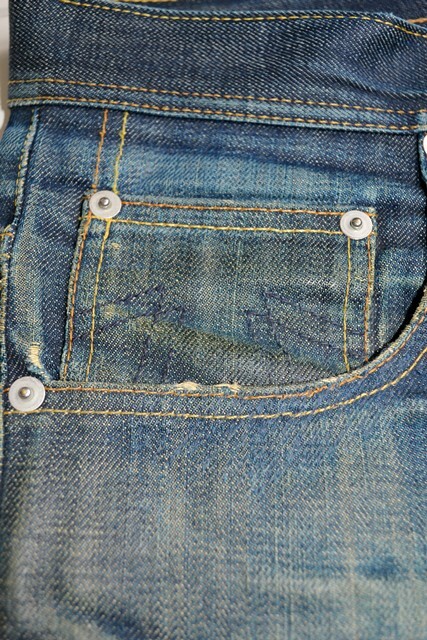 The jeans is now covered with thick patina and the fabric shows a really nice greencast colour. 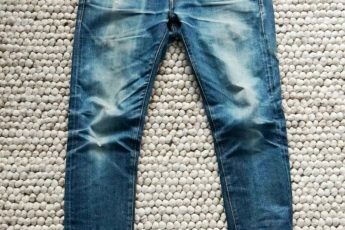 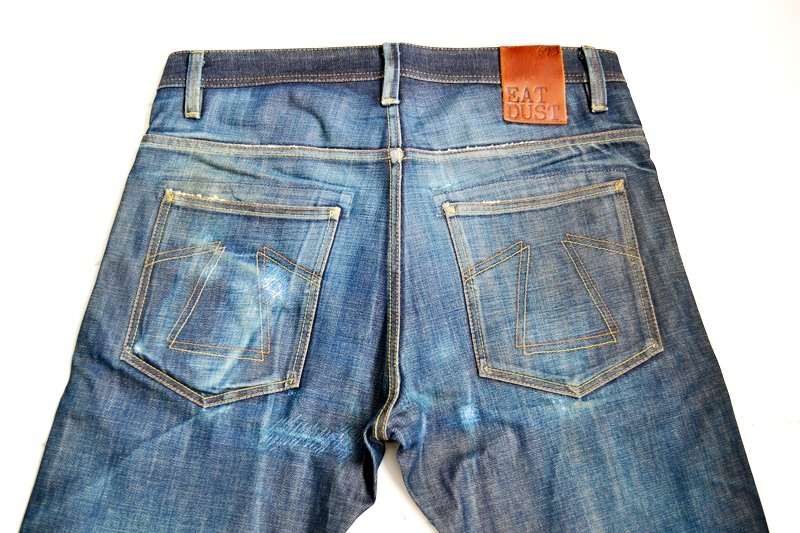 If you haven’t tried the Eat Dust by yourself, I can recommend it to everyone as they make great jeans with a lot of fading potential. 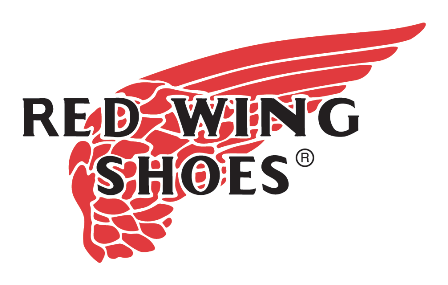 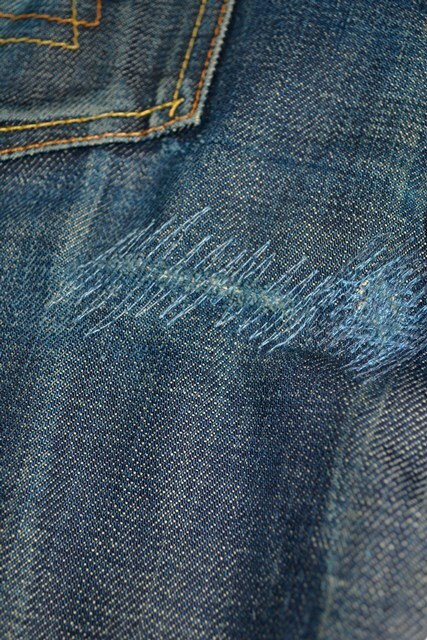 Besides that the brand is owned by my buddies Rob Harmsen and Keith Hioco from Antwerp – BE. 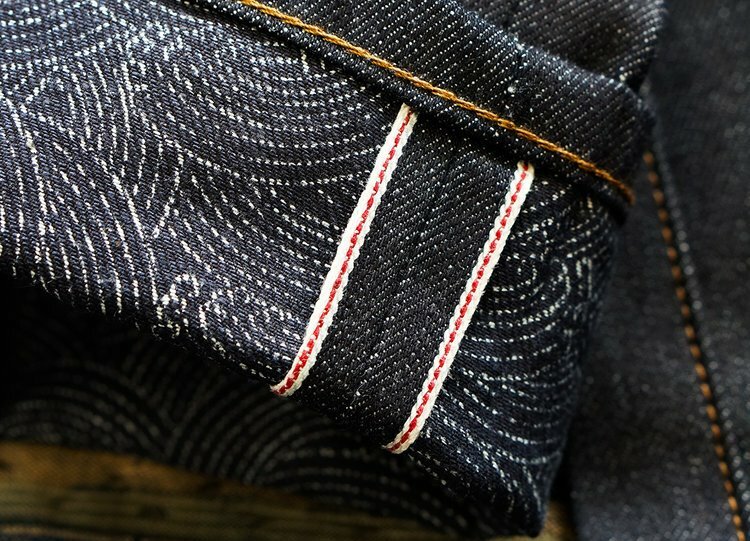 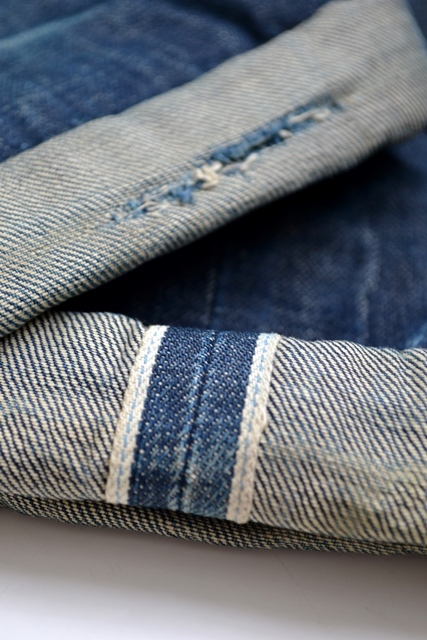 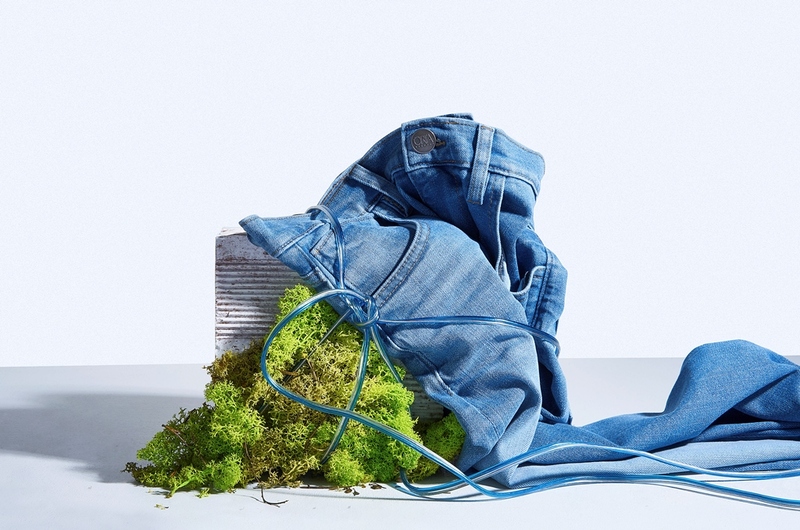 They create really cool denim items and street-workwear cothing. 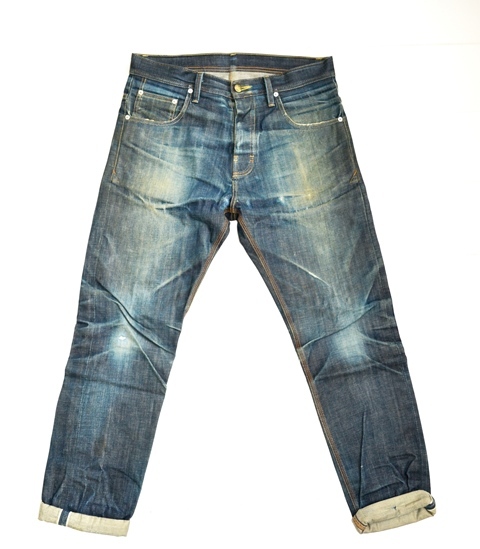 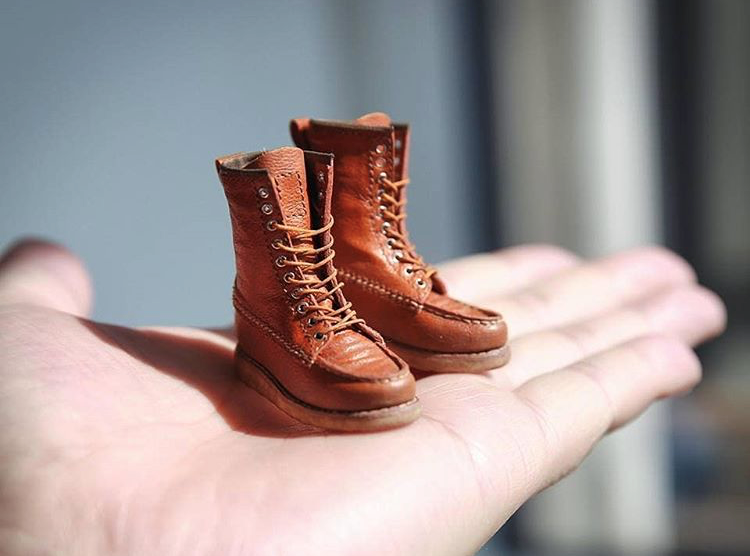 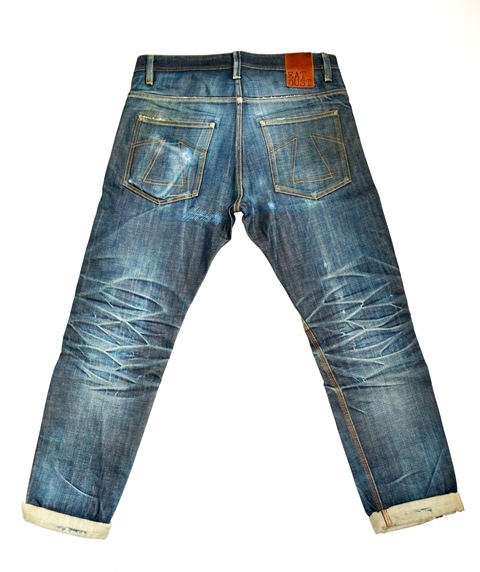 Anyway, go check out the beauty of aged denim here below.